Skin Deep Beauty Salon in Tarporley, Cheshire provides all the beauty treatments and products that you could need in a lovely village location. From skin care to sun protection, massage to manicures, we look forward to welcoming you to our salon. Skin Deep was opened in February 1991 by Stepanie Humphreys who trained at Bretlands Beauty Centre in Kent in 1985 and then worked in salons as a beauty therapist before working for Clarins for 2 years. Stepanie has C.I.B.T.A.C and C.I.D.E.S.C.O qualifications. She also used to be an examiner for the British Association of Beauty Therapy and Cosmetology, travelling all over the world examining beauty students taking their final exams. Stepanie has fully qualified staff working alongside her. In March 1994 Skin Deep Beauty Salon in Tarporley was recognised as a C.I.D.E.S.C.O institute (one of four in the UK) which is a highly prestigious award awarded to salons on the standard of work and hygiene. Clarins Gold Salon status was achieved in 1995 and has been maintained ever since. 1996 saw us appointed a CACI Clinic offering a wide range of CACI treatments. We are constantly updating our equipment in order to offer the most up to date beauty treatments available. 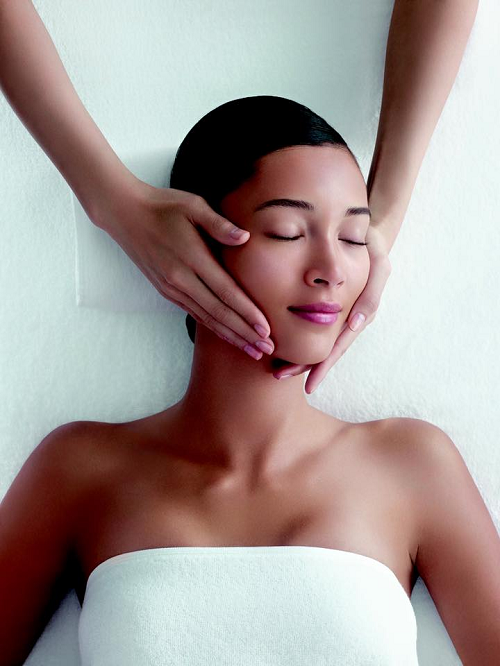 Skin Deep Beauty Salon in Tarporley offers Rene Guinot Cathiodermie / Hydradermie facials, CACI non-surgical face and body lift, CACI lift 6, CACI Futur-Tec, CACI Hydratone, Clarins face and body treatments, Clarins self tan treatment, manicures, pedicures, eyelash tinting, Hollywood semi-permanent eyelash extensions, PhD waxing, Minx nails, Shellac - Power Polish, Aromatherapy massage, Reiki massage, Hopi ear candle therapy, Indian head massage, body massage and hot stone therapy, sports massage and deep tissue face and body treatments, along with top-to-toe packages and various other service treatments. We cover all aspects of beauty therapy and stock the full range of Clarins, Rene Guinot, Nailtiques and Australian Bodycare Tea-Tree products all for homecare. 28 years and still going strong!